Tomatoes are one of summer’s true pleasures. What compares with a freshly picked heirloom tomato, flesh still warm from the sun, sliced thick and sprinkled with sea salt? When March comes to northern Vermont, though, I can only dream of those luscious Green Zebras and juicy Brandywines. The tomatoes at my co-op look as if they rolled all the way from Chile. 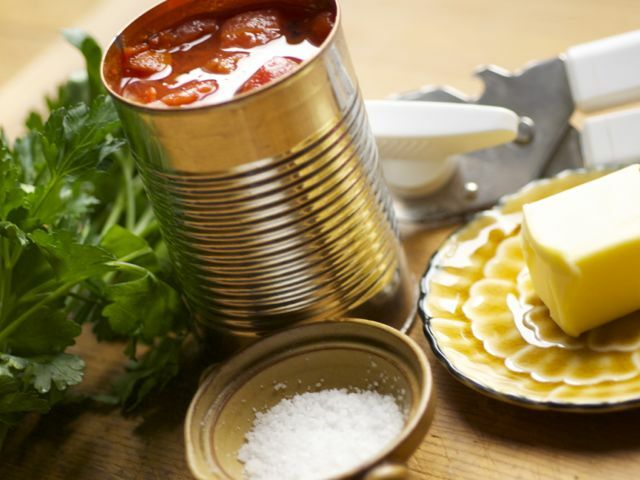 I’ve found that canned tomatoes are a great way to brighten up winter meals and taste far better than the "fresh," pale, imported alternative. For fast weeknight dinners, I use them in chunky marinara sauces, smooth comforting soups, and quick zingy salsas that put store-bought to shame. Here are three basic recipes that start with opening a can of tomatoes — plus five cooking tips to make the most of your efforts. Note: For all of these recipes, I used Muir Glen Organic’s Fire Roasted Diced Tomatoes. They have a great, smoky flavor, and they come in BPA-free cans, which is not the case with many tomatoes. #(clear n1). [%image marinara float=right width=400]Get saucy. I love to eat this quick marinara sauce atop linguini, over cheesy polenta, or even slathered on a hearty fried-egg sandwich. It whips up in less than 30 minutes, and goes great with all kinds of tasty add-ins, including leftovers. I’ve added everything from roasted veggies to canned clams. #(clear n2). [%image soup float=right width=400]Be smooth. 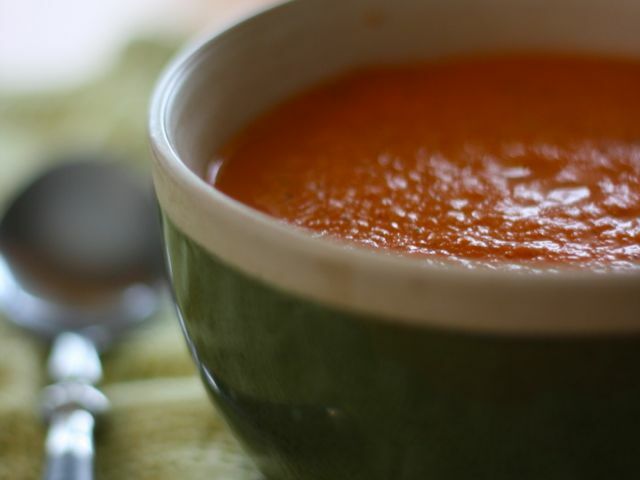 Nothing says cozy like soup, and canned tomatoes make a lovely puréed version that will warm you up from the inside out. 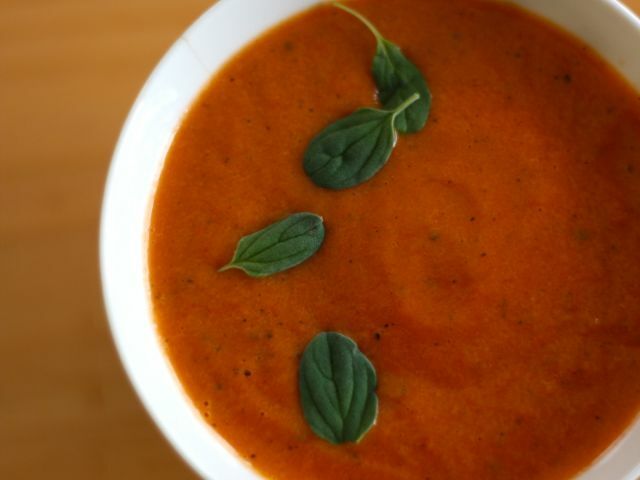 Serve Silky Tomato Soup with Marjoram with a melty grilled cheese sandwich and a salad of bitter greens. #(clear n3). 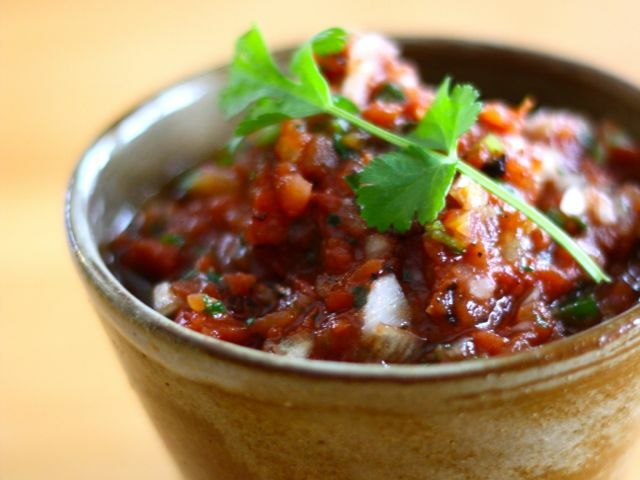 [%image salsa float=right width=400]Head for the border. Sometimes I like to crank the thermostat and channel a tropical vibe. This spicy-as-you-want salsa is perfect for swiping with a tortilla chip, or scooping atop black-bean tacos. #(clear n4). Find balance. When you cook with tomatoes, it's important to taste and to correct for seasonings. It’s a little different from adding flavor with herbs or spices; this is to balance the tomatoes’ natural sweetness and acidity, and to use salt to bring out their full flavor. After I taste, I might add salt, sugar, or a splash of a full-bodied red wine. When making marinara or soup, I find that a little dash of vermouth can smooth out any sharp overtones. #(clear n5). Get fresh. In the dead of winter, fresh herbs offer bright, vivid flavor. Try embellishing any of the above recipes with fresh basil, cilantro, thyme, parsley, or marjoram. #(clear n6). Add richness. Tomatoes love fat. A drizzle of olive oil enriches the flavor of soups and sauces, as does a splash of heavy cream or a knob of sweet butter. Need an excuse? Tomatoes are chock full of lycopene, a powerful antioxidant, and studies have shown that cooking tomatoes with fat helps us absorb more lycopene. #(clear n7). Spice it up. Warm up by adding some heat to any of these tomato recipes. Throw in a chopped fresh jalapeño, add a pinch of chile flakes to a simmering sauce, or try my personal favorite, smoked paprika. The rich, toasted chile adds depth to just about any dish and is wonderful just sprinkled on top. #(clear n8). Plan ahead. With all these great ways to use canned tomatoes, we should all put up some of those luscious heirlooms next year when the weather turns hot. We’ll thank ourselves in March. p(bio). Jen Smith lives in Burlington, Vermont, where she spends her time baking pastries and writing. She chronicles both on her website, The Nomadic Oven.